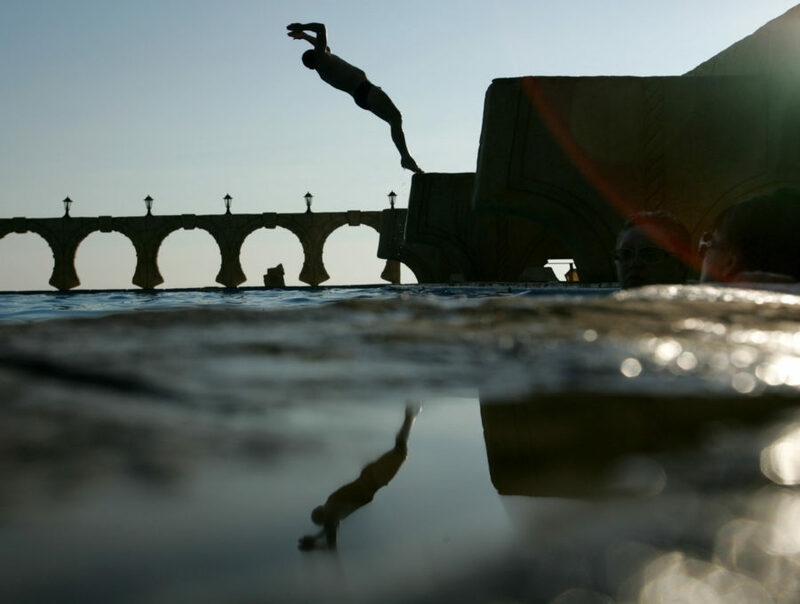 A man jumps in the Black Sea. Image by Mikhail Mordasov/Getty Images.. This morning I went for a swim in the outdoor pool at my apartment complex. Had the whole pool to myself. As a breeze blew through the tall pine trees that tower over the pool area, a sense of calm came over me. I felt myself there, in this pool, truly appreciative of what I have access to as a resident. But then my mind wandered to flashes of images I had seen of a pool party in McKinney, Texas about a week and a half ago. When I saw these images of young people being assaulted by police I was incensed. My peace had been disturbed. It took me back to my first negative encounter with police at age 14. On the bus ride home one afternoon, a scuffle had broken out between two pre-teens at the back of the bus. Much like the neighbors at the pool in McKinney, our bus driver that day called 9-1-1, stating that there was a “riot” on the bus and that police officers were needed. My friends and I, none of us involved in the fight, got off the bus and headed home. At least four squad cars arrived, responding to the bus driver’s call, and blocked off both ends of the street. When the police officers got out of their cars, I clearly remember seeing them with nightsticks in hand, ready to bash in our little heads. I was terrified. None of us were assaulted or arrested that day. The cops just took down our names and addresses. In the end, I walked home in tears after being intimidated by one of the officers for questioning why we were being questioned. It could have ended much worse, and, looking back, I’m glad it didn’t. But these are the kinds of experiences that many young African Americans go through in America every day. And the scars from these experiences do not go away. So what really happened at that pool party? In this instance we are looking at what the swimming pool represents as a symbol of social status. In a caste system, there is the idea of “contamination,” and that those imagined as lower caste should be kept out of places where those imagined as higher caste are gathered in order to avoid any “contamination” of the space. This is the attitude behind the behavior we saw enacted at the McKinney public pool. Within an historical context, Black folks have been experiencing this type of violence and intimidation for generations. Many of my people have gotten the message from our society early on in life that we are not worthy of, nor deserving of, enjoying any carefree time, even in spaces like a public pool. Whenever you are sent this kind of a message at gunpoint, as it happened for those kids in Texas, one is bound to develop trauma. The trauma of violence is stored in the body. We know this now from the research. These body memories are passed down from generation to generation through what we carry in our cells. What feelings will these young people forever carry with them? What will they now associate with swimming pools? How will this event affect how they live their lives or how they will raise their own children? It took a couple centuries of violent repression for the caste system in America to be accepted as fact. As humanity is slowly waking up to shake off this ideology, it is up to each of us to retrain our brains so that we can break free from these attitudes and the limiting perceptions we have of one another. Our conditioned thoughts are our biggest challenge. In truth, we’ve inherited our social conditioning from colonialism. While some of us have been conditioned to believe in our own privilege or entitlement, some of us have been convinced through our conditioning that we are worthless, abnormal, and expendable. Because we live so closely together, most of us probably feel a strange mix of both. The work that each of us is doing to break free from your conditioned thoughts is your individual karma. This is because all of the messages we have gotten over the years are at work inside of us every day, constantly constructing our inner world. Until we take the time to face the faulty thought patterns we may be holding onto, we cannot loosen their grip on us, and we will continue to act on what we assume to be true. The best way to undo our conditioning is to still the mind. Having a regular meditation practice can help to uncover our inner notions of worthiness and otherness. When the mind is still, you can clearly see perceptions based in caste for what they truly are: garbage that only perpetuates an illusion of division. Our separateness is but an orchestrated illusion. Anybody that tells you otherwise is operating from the level of ego. 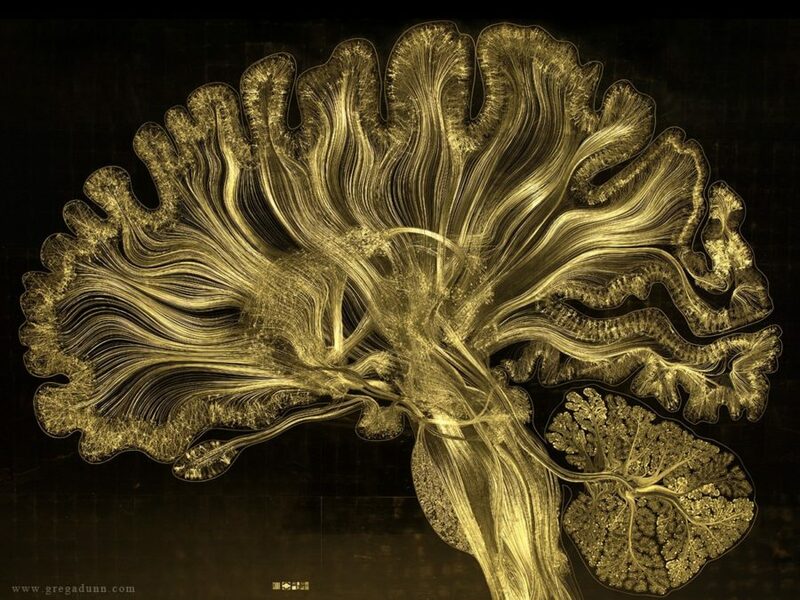 In a world of pop-up advertisements that clamor for our attention, if we quiet our minds and instead turn our attention inward, we have a much better chance of getting to know ourselves, each other, and the planet that we share. We are alive! Ain’t it grand? 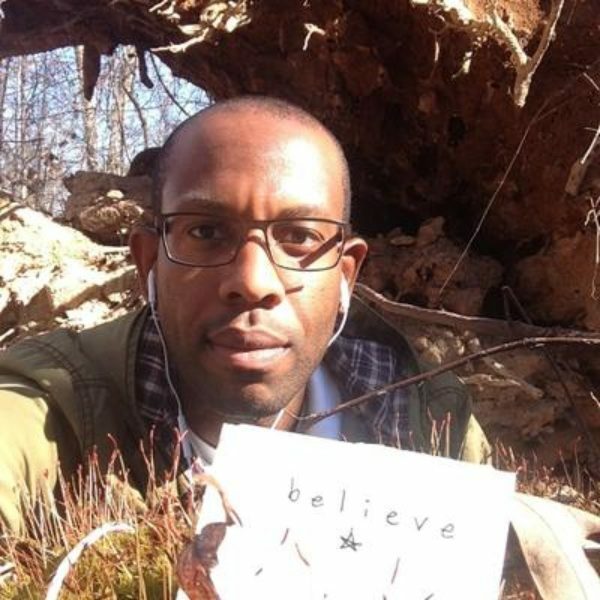 Paul Singleton, III is an art therapist, poet, and the author/illustrator of Sometimes Mama’s Just Like That, When My Hero Left, and free movements. He is in private practice in Durham, North Carolina, where he also teaches courses on origami and mindfulness techniques to middle school students. His latest collection of poems is titled posthaste.